There are New Zealand’s North Island and South Island. And then there’s also Stewart Island. The smallest of them. So small that it often doesn’t even find its place on world maps. 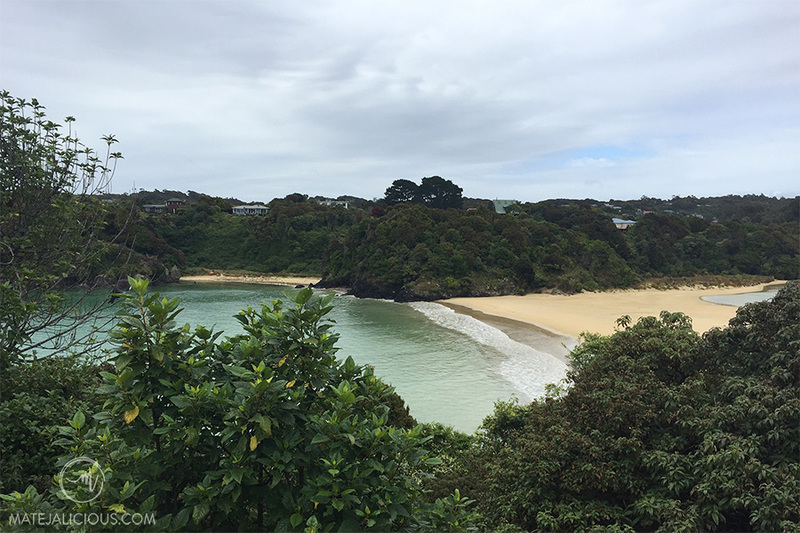 Stewart Island frequently comes last to our attention and many of us put off exploring it. At the beginning of the year, I broke that trend. I wanted to go as south as possible. Right away. 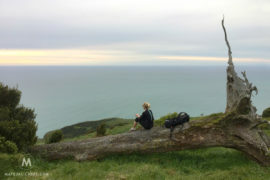 I wished to encounter kiwis in the landscape that still manages to be their peaceful playground. I hoped to do lots of hiking and explore the wilderness. 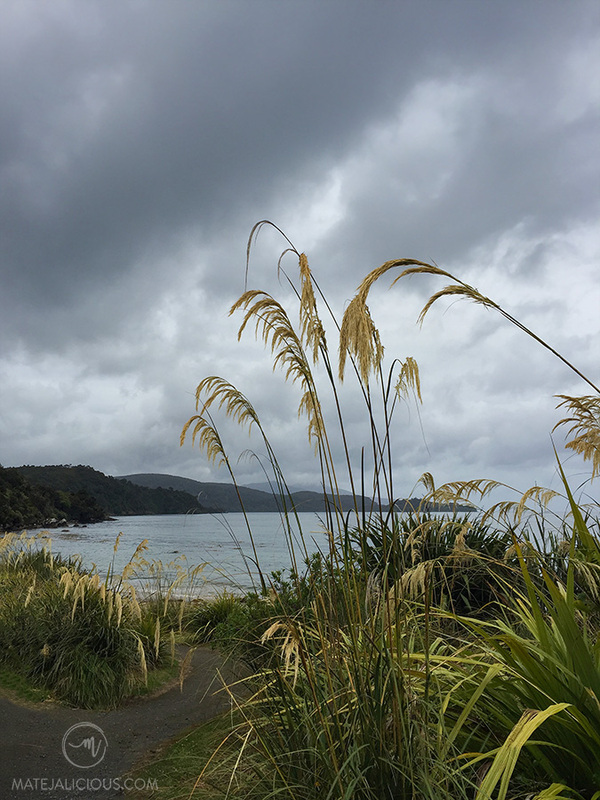 Today, however, I hope to inspire you to visit Stewart Island sooner than later. So, this is an invitation: go and explore this beautiful and self-sufficient place with an open mind. Because the land down south is as pristine as it gets. It will become your very own place of great adventures and surprises. 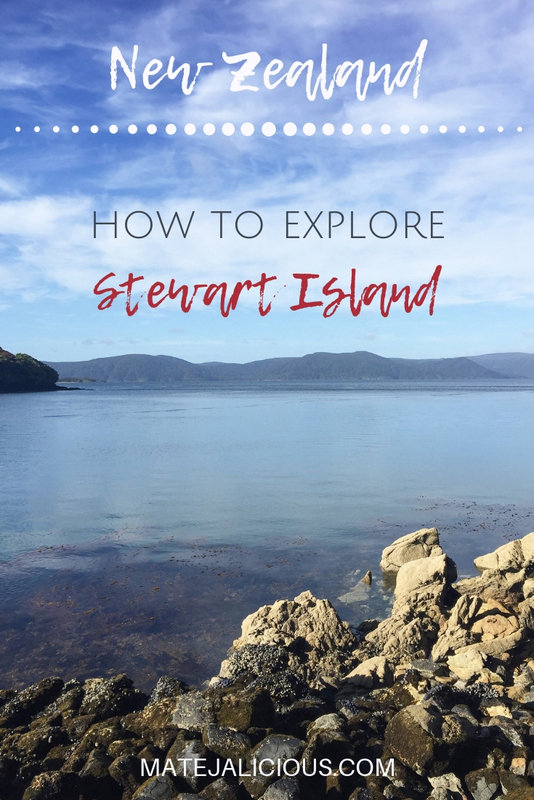 Join me on this journey of finding out how to explore Stewart Island. 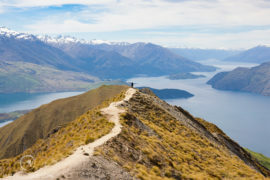 There are two options available for us to reach New Zealand’s third largest island: it’s either by ferry or by plane. 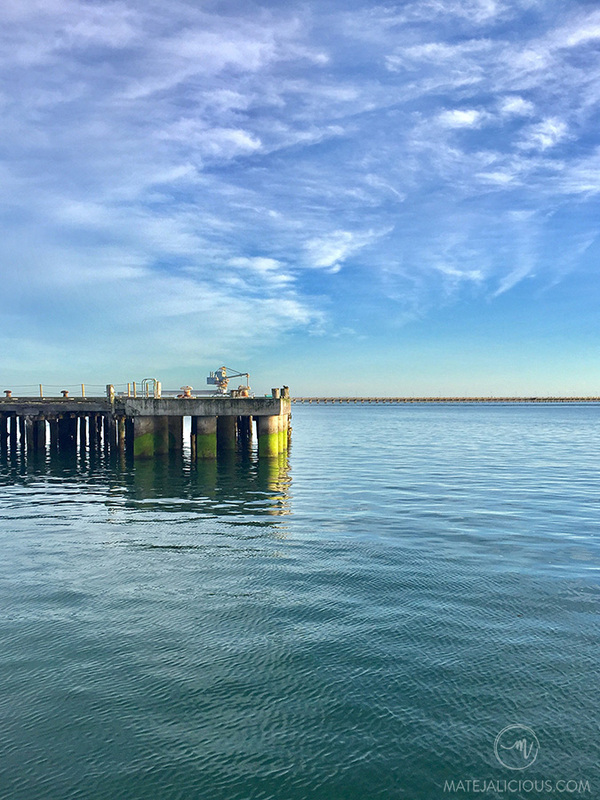 The one-hour ferry ride starts from Bluff on the mainland and continues across Foveaux Strait all the way to Oban in Stewart Island. This is a year-round daily service that becomes quite sought after during the summertime. Consequently, more departures are scheduled during that season. I recommend you make an online booking well upfront. Alternatively, you can hop on a small plane in Invercargill and reach Halfmoon Bay (Oban) in just 20 minutes. My journey started in Auckland. I first took the direct flight to Dunedin on South Island. Here I rented a car and took the scenic route down to Bluff where I left it parked. Then I caught a ferry (only foot passengers allowed) to Stewart Island. The whole process can be a bit of a logistical challenge, but I wouldn’t change a thing. I guess it just shows how much I really really really wanted to visit and explore the remote and rugged island down south. 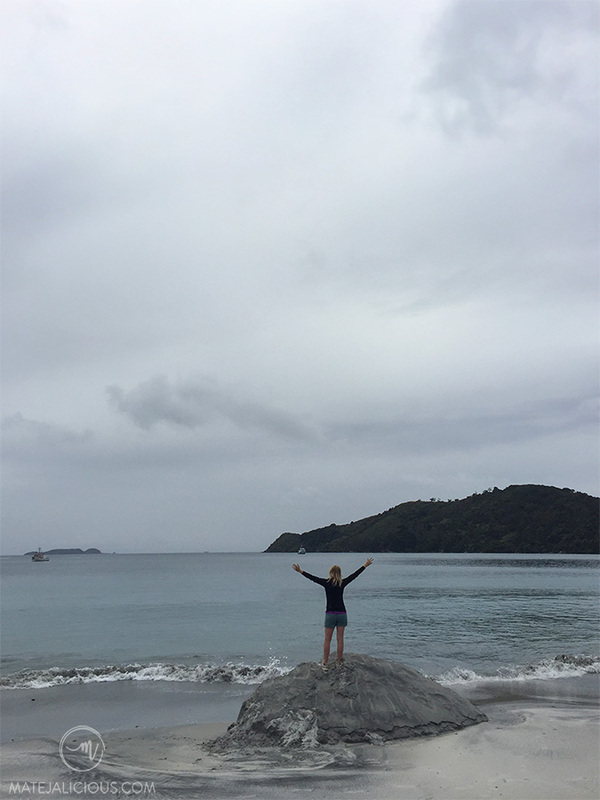 Everyone in Stewart Island I met was concerned that the island might be a bit too much (or in this case – too little) for me. “You know, it’s a bit different down here” is what I kept hearing a lot during those four days. That ‘a bit different’ part was actually the reason I was there, to be honest. I wanted to explore off the beaten track and be part of that beautiful ‘different’. When you start approaching the island by air or water you right away realize how very cozy and all natural it is. And it’s true, nature is dominating here. The first few days spent among all the greenery confirmed what I suspected all along. This is the home of amazingly gorgeous coastline and sandy beaches, clearest night sky, iconic birdlife, and unspoiled lush forests. 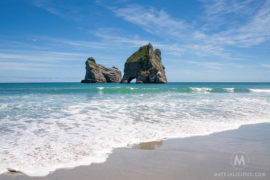 With only about 30 km of roads and around 400 permanent island residents, it’s safe to say this southern tip of New Zealand is natural paradise. DOC has put in a lot of effort to try keeping it that way. Today 85% of the island belongs to Rakiura National Park, which has become a synonym for the abundance of lush rainforest, native wildlife, and crystal blue waters. 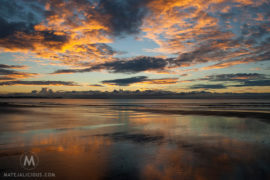 Rakiura is the Maori name for the island and it translates as the ‘Land of the Glowing Skies’. It’s so true! I experienced such beautiful evenings and colorful sunsets here. And the night sky brings all the stars quite close to your feet. On the other hand, climate can be quite unpredictable and rain is a common occurrence in this place. 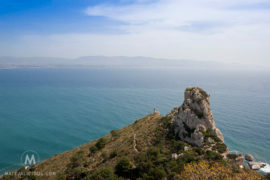 Situated at 47 degrees there are no specific wet and dry seasons on the island. It’s definitely a good idea to bring a raincoat for such frequent and rapidly changeable island weather. Daylight lingered on forever when I was here at the peak of the summer. I found I could quite easily function on less than 5 hours of sleep each night (can only sleep when it’s completely dark). So yeah, have in mind that the days are much longer during the summer. I somehow found it totally fascinating! 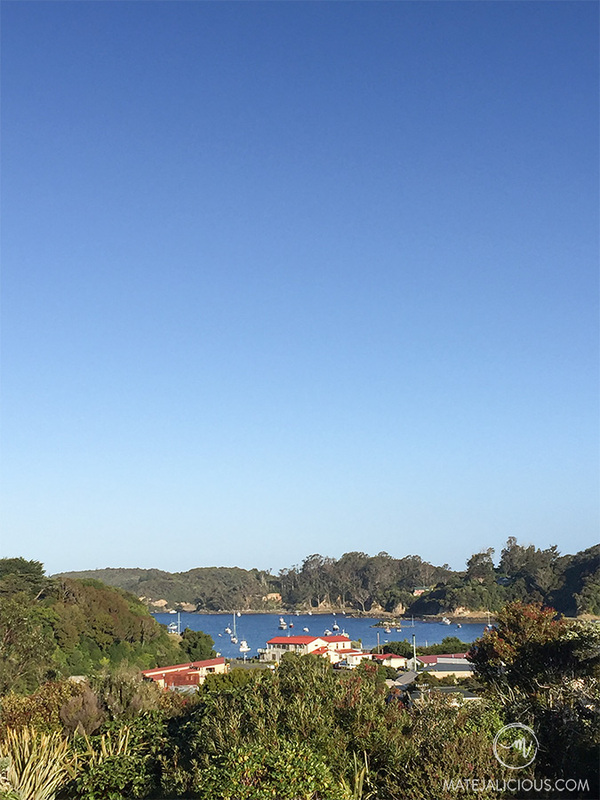 Oban is the only settlement in Stewart Island. It’s the island’s entry and departure hub. Most things happen in this small township that has a certain welcoming feel to it. True, there aren’t many shops or places to eat in Oban, but still, you’ll find everything and possibly much more than you need here. A small Four Square takes care of all the essentials and includes the only ATM on the island. It’s good to have some cash on you because the machine is accessible during the shop hours only. 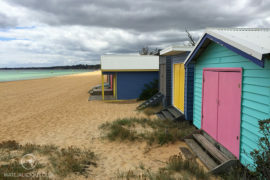 There are a couple of coffee places and also a Church Hill restaurant, but I mostly gravitated towards the local South Sea Hotel pub for the bite and drinks fix. As mentioned before, there are only around 30 kilometers of sealed roads on the island, which means that the traffic is minimal. It also means that it’s difficult to get lost. You’re able to rent (electric) bikes, motor scooters and cars, and cover this small area on wheels. Beyond the Oban township the land is mostly wild and covered with forest. It can only be reached on foot or alternatively by a water taxi. 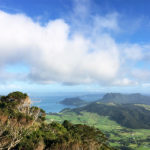 A couple of operators (Aihe and Rakiura Charters) that are located in Halfmoon Bay and Golden Bay can basically drop you off or pick you up at different places on the island for your convenience. Mobile phones have limited coverage here, so it’s smart to always let somebody know about your plans. There are many accommodation options on the island, ranging from more affordable to quite expensive ones. The majority of them can be found in Oban. 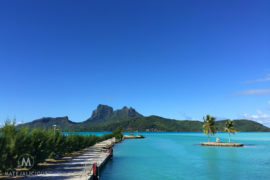 You’re able to choose from a few backpacker hostels, lodges, self-catering houses, but there are also motels and a hotel on the island. Prices, in general, are a bit higher down here due to remoteness. Summers can be packed and it pays to book early. This website offers a good overview of the available island accommodation. Holiday Houses and Book a Bach are also good options worth exploring, especially if you travel as a larger group. 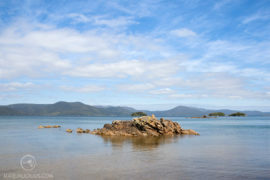 Visiting Rakiura (Stewart Island) means you’ll be returning to the ultimately pristine nature. Nature like it used to be. Before all the chaos and exploitation. Hiking will take you back to that untouched paradise. You’ll mostly use your feet to get from point A to point B anyway. However, you shouldn’t only concentrate on the walks around and near the township. Do consider putting aside at least one whole day to go out further, into the ‘wilderness’. 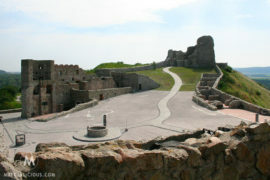 There are various types of walks available, suiting all fitness levels. You’re also able to complete the Rakiura Track, one of the New Zealand’s Great Walks right here on the island. No better way to get the island feel! Rakiura Track falls under Rakiura National Park which is made of around 85% of the island. 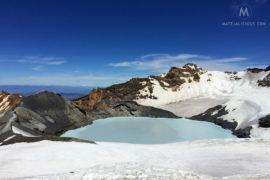 As mentioned above, this is one of the NZ Great Walks, and clearly, the southernmost one. It is set up as a multi-day hike, however, the 32km loop could be completed in 1 day as well (running mode). For a comfortable walking experience or if you’re doing it with children, 3 days are ideal. This is a circular track and can be walked in either direction. Starting points is either the official entrance at Lee Bay (5 km from Oban) or Fern Gully car park (2 km from Oban). 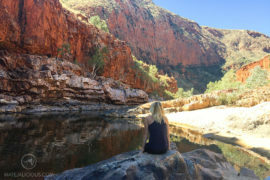 If you don’t want to add that extra 7 km to the beginning and the end of the hike, I advise you have the drop off and pick up transport arranged. The walk is well signposted and marked and it isn’t too demanding apart from a few steeper sections. There’s also a great chance for muddy surfaces through the regenerating lush forest all year round. Come prepared for all unpredictable and changeable weather conditions. DOC looks after 2 huts along this track, but you do have to book the overnight stays in advance. Same goes for 3 campsites along the Rakiura Track: Maori Beach, Port William at Magnetic Beach and North Arm on the shore of Paterson Inlet. Hiking this track truly is an amazing experience. The trail mostly follows the coast with its secluded bays and for a while takes you across the inlet. All the stunning coastal views will perhaps inspire you the most. Or, it could be a kiwi crossing your path in the middle of this diverse and regenerating forest. What strikes you the most might also be the tranquility you’ll be immersed in while exploring the bush and beaches. Either way, this hiking paradise will award you with some unforgettable memories. 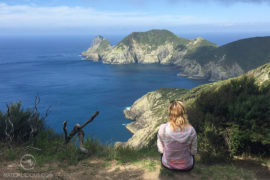 In addition to the Rakiura Track, there are a few other multi-day hiking options on the northern coast of the island that you might want to consider conquering. 11-day Northwest Circuit Track (125 km loop) and the 4-6-day Southern Circuit Track (71 km) will demand a bit more preparation. However, you’ll definitely experience the essence of this place and cover much more of the island. 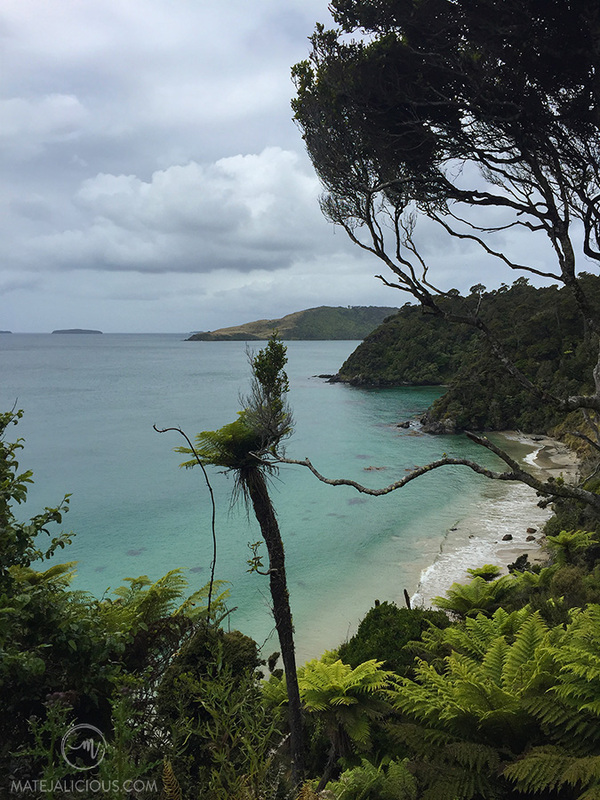 Short scenic walks in Stewart Island are the ideal option when you’re a bit tight with time or don’t feel challenged enough for the above multi-day hikes. These are all very much accessible from Oban township. No excuses really, right? Here are a few that I would recommend. 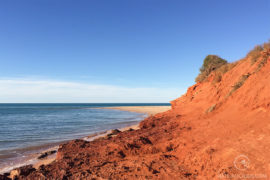 A return walk to Ackers Point takes about 2.5 – 3 hours. It follows the scenic coast road and forest path from the Halfmoon Bay waterfront. 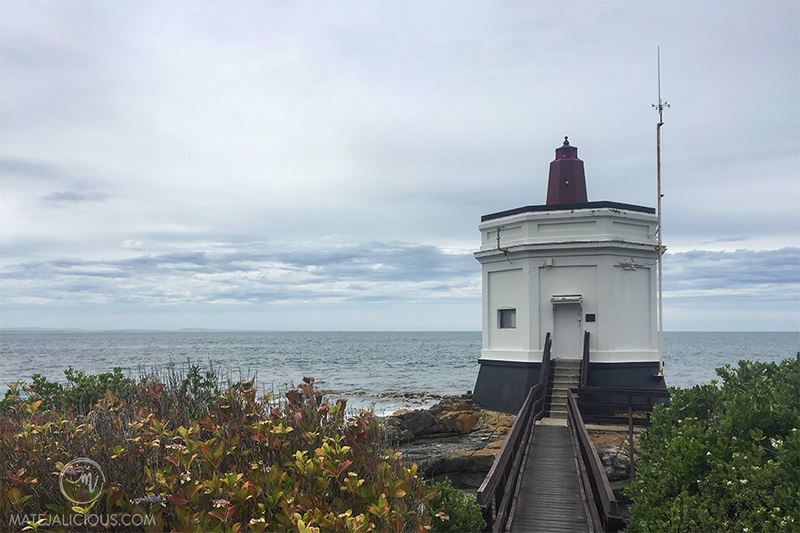 By the time you reach the lighthouse with views over the Foveaux Strait, you’ll already pass the Ackers Cottage at Harrold Bay. This stone house is the island’s oldest structure built in 1835. 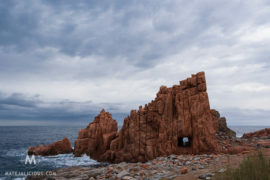 Observation Rock is a must visit spot on the island. It’s a perfect sunset watching place. 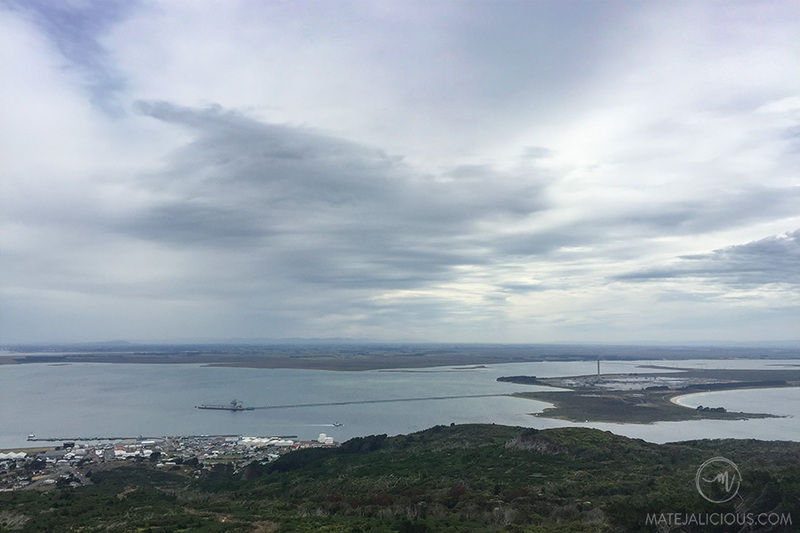 Being one of the highest points in this area, it offers rewarding panoramic views over Paterson Inlet. Only a short 30 minutes walk to reach this lookout point! 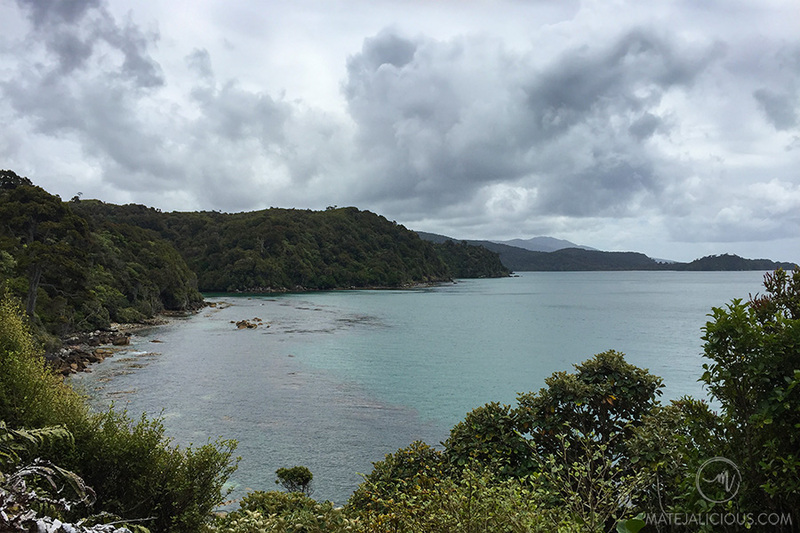 A mostly road hike to the start of the Rakiura Track at Lee Bay will let you explore some beautiful bays along this coast. You might even want to get a sense of the Rakiura Great Walk and continue further into the forest all the way to Maori Beach. Set aside 5-6 hours for this adventure. 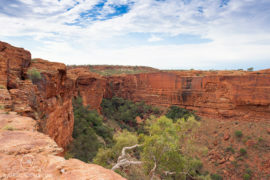 Ringaringa Point and Horseshoe Point are both popular short walk destinations as well. These hikes will reward you with gorgeous views of Ulva Island, Halfmoon Bay and Paterson Inlet. 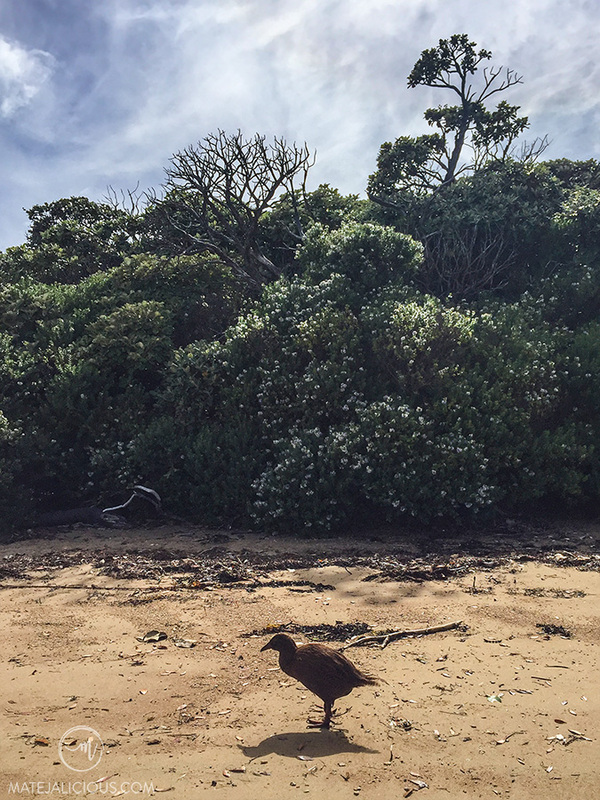 Stewart Island is one of the most perfect places to spot kiwi in the wild. 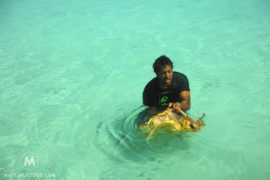 With the island population of around 15,000, they are the main residents here. Humans are being confidently outnumbered. The actual chance of seeing them is great. The Southern Brown Kiwi (Rakiura Tokoeka) that live here are one of the larger Kiwi variants and their beak reaches up to 20cm in length! On the New Years Eve, I decided to go on a spotting adventure as everyone has been promising a good chance of seeing them during the night. There are a few popular spots close to the village where they apparently hang out. I wasn’t the only one trying my luck that night. The dimmed light from flashlights revealed how popular this activity has become. It turned out all island kiwi were having their own private New Years celebration that night. At an undisclosed location, of course! Still, it was so much fun anticipating them. 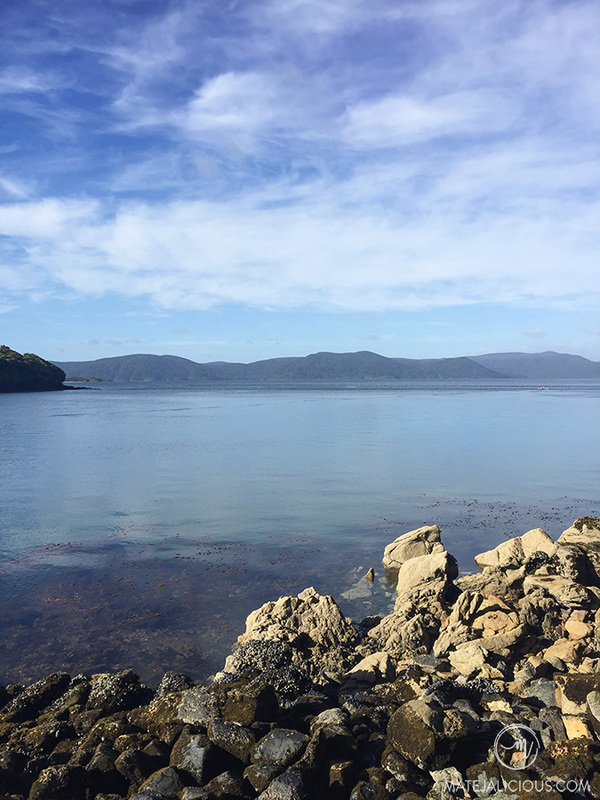 Ulva Island is a special island situated in Paterson Inlet, a must-visit destination for bird lovers when you find yourself that far south. Every bird dreams to live here, on this bird sanctuary island. It is free of any predators, and it homes many rare and endangered species. Birdlife here is truly amazing and quite diverse. Ulva Island is also a part of the marine reserve, an area of the sea where a marine life is protected. 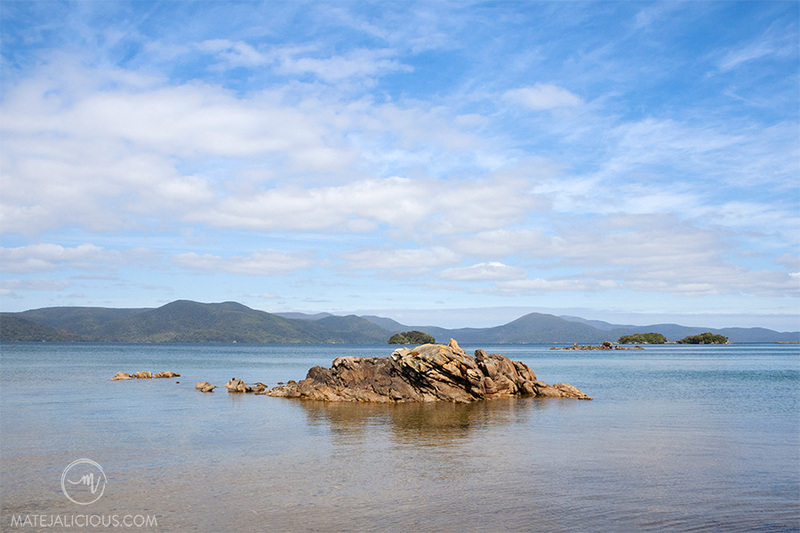 A small section of the island is privately owned and the rest is part of Rakiura National Park that’s managed by DOC. At DOC they are constantly re-introducing vulnerable animals and plants to the island, working hard to protect unique and fragile wildlife. A few operators offer 10-minute water taxi rides to/from the island. 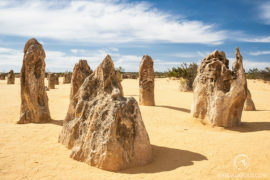 Most of them are located in Golden Bay. 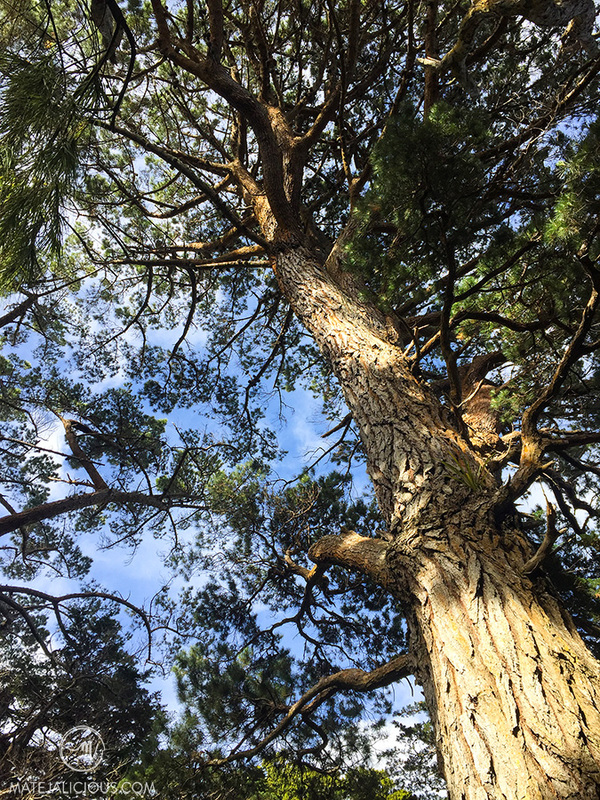 Guided Ulva Island tour with Peter was for me one of the highlights when I visited this part of New Zealand. It was mind-blowing to me to be able to learn about the endangered native residents, the environment, natural history, and freely enjoy this pristine place! Well maintained walking tracks here take you across the island through lush forest. 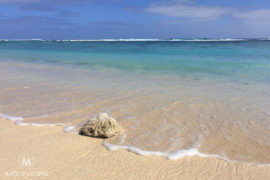 You can also find many unspoiled beaches that are more than ideal for swimming and picnicking. In addition to that, the area is known for some amazing snorkeling and diving opportunities. Ulva is such a unique island with an amazing energy. 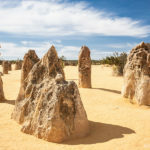 It gives us all a glimpse into New Zealand’s ancient past, so we can better understand how nature’s been functioning for centuries. I absolutely look forward to returning here one day. 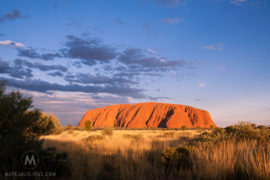 When you find yourself under these southern skies, you’ll most likely want to experience the night-time glow of Aurora Australis. It might just happen during your visit. One thing I can say is that this area of the island (Oban) lacks an elevated ground from where you get an unobstructed sky view. 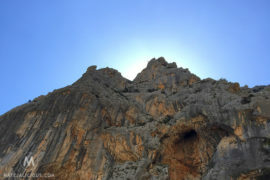 Observation Rock mentioned above could be your ideal place to try your chances, considering that weather conditions are perfect. 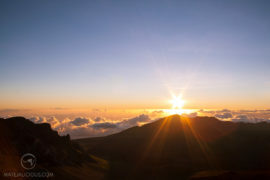 And don’t forget to bring your camera to capture the majestic energy light! 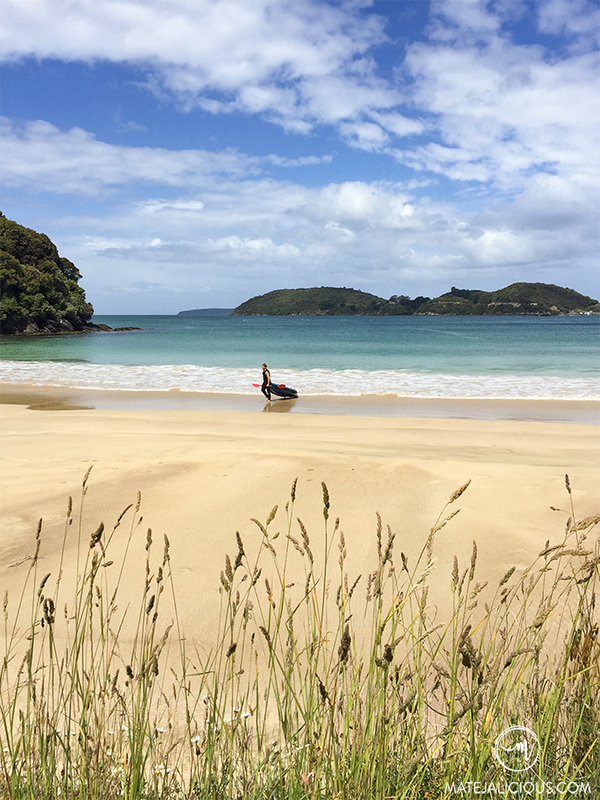 When you’re coming to Stewart Island you’ll possibly want to stop at a few other points of interest on the mainland. 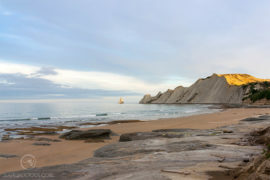 First is Bluff, a port town located 27km south of Invercargill. 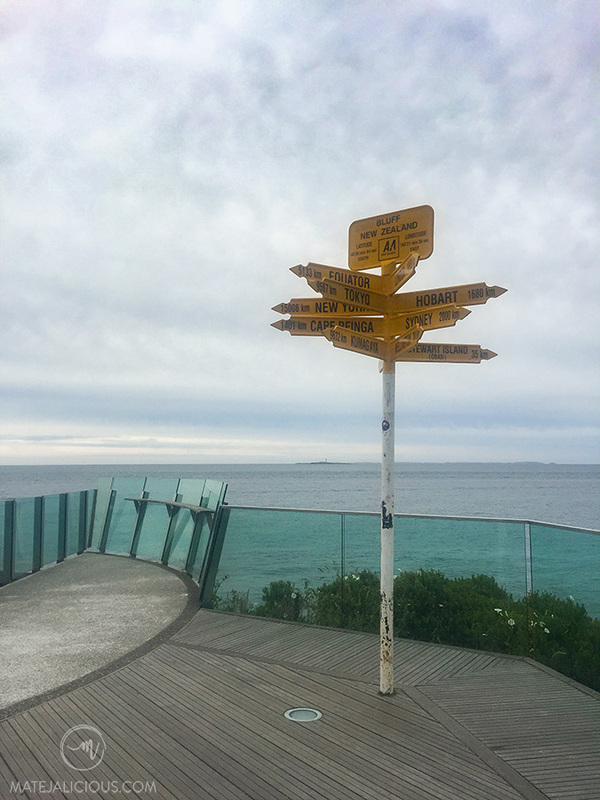 It’s famous for its signpost at the Stirling Point that marks the beginning of State Highway 1. 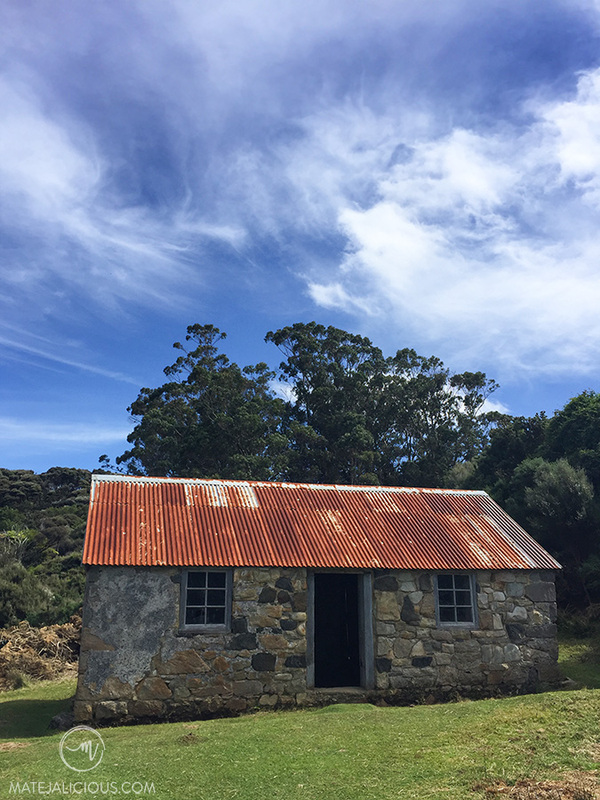 The place is also known for the iconic Bluff Oysters, abundant sea life, fishing expeditions and a gateway to Stewart Island. 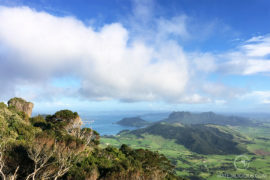 If you stop here for a bit longer, be sure to hike (or drive) up to Bluff Hill (Motupohue) for panoramic 360-degree views of Foveaux Strait and Stewart Island. Invercargill is the Southland’s capital and a commercial heart of the area. The influence of the early European settlers shines through architecture and gardens. Also, as you walk around the city you’re often reminded Invercargill is the hometown of the late Burt Munro, a famous motorcycle racer. I especially loved stopping in the city centre for good coffee and food. And if you’re passing through Catlins to/from Dunedin as I did, then Slope Point (the southernmost point of the South Island) is an absolute must-visit place on your journey. 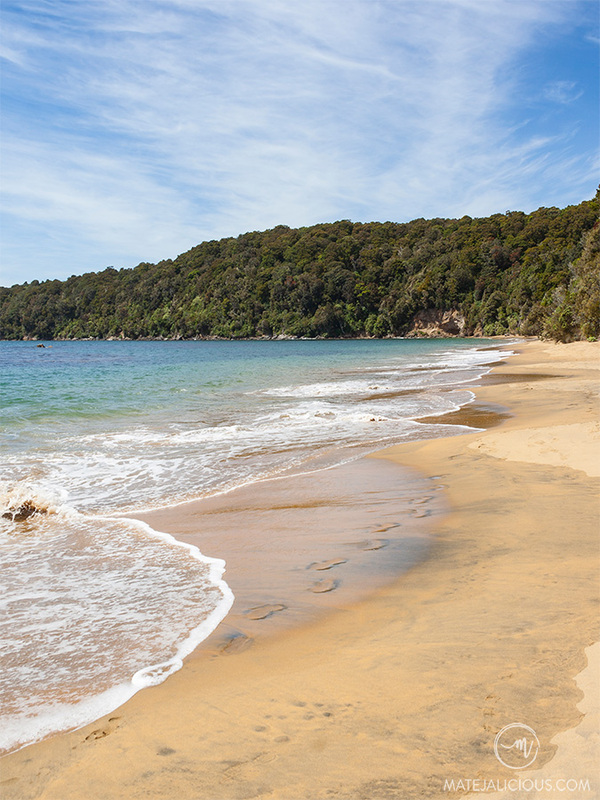 Clear waters and the lush native rainforest make Stewart Island a special place. And so do the many extraordinary marine and bird species. This is without a doubt an island that promises great adventures. 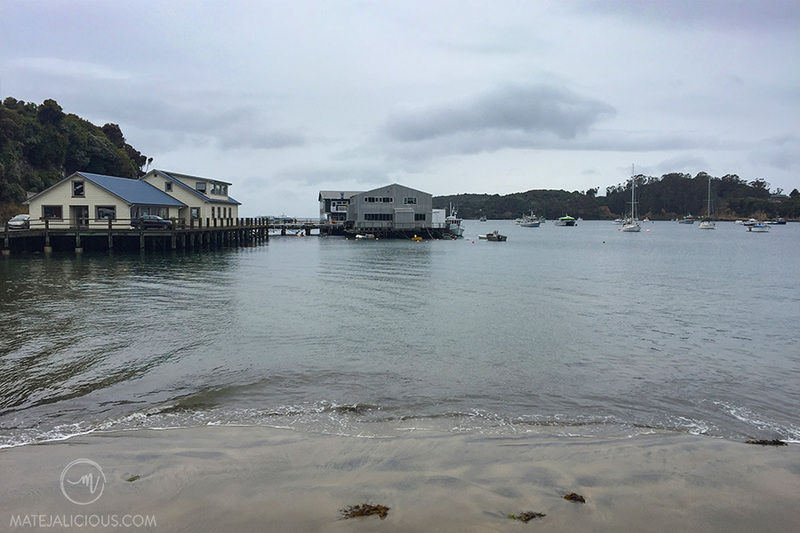 For me, visiting and exploring Stewart Island was like returning to a familiar place. The trip showed me glimpses of a simpler and slower life of the world that’s still raw and perfect in its natural beauty. If you want to make a fresh start, then go and find a temporary refuge on this island down south for a week. You’ll come back rejuvenated and see things from a totally new perspective. 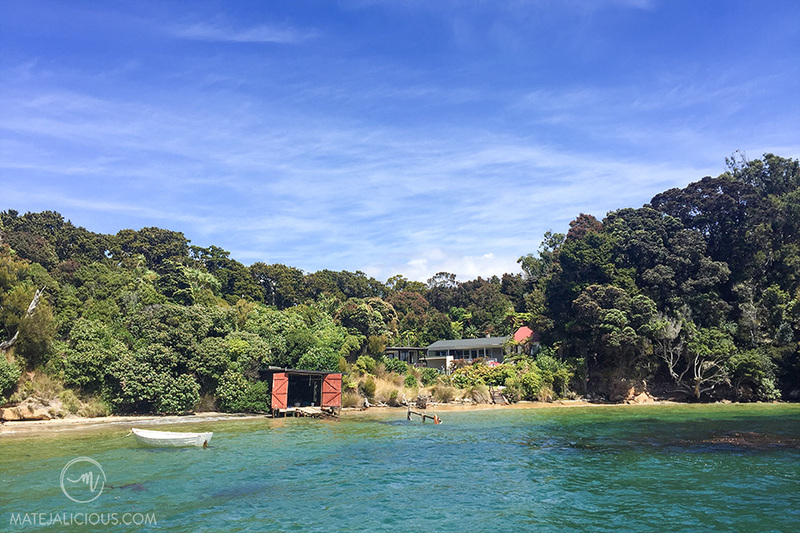 Although Stewart Island often comes last on every traveler’s itinerary, it has an enormous potential to become a place of a new beginning for you. → Do you like exploring places off the beaten track? 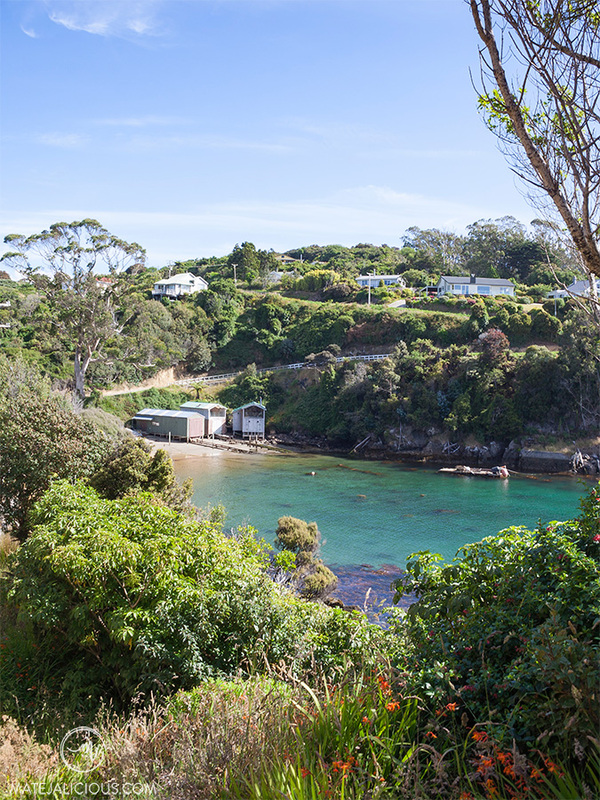 Have you been to Stewart Island? What was your experience there? Could you recommend some other place around the world that got you out into the wilderness? Please comment below. You are right, I looked on the map and barely found this island. It is so tiny indeed. And I don’t think a lot has been written about it. I haven’t visited New Zealand yet but constantly reading about this country and keep adding destinations to my list. 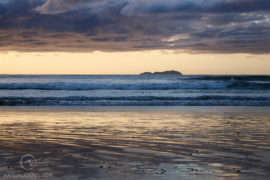 Bookmarked your post and added Stewart island to my list as well! I was totally drawn to visit and explore it. You’ll totally love NZ, especially if you like the outdoors 🙂 It seems it’s calling your name. Thanks so much for commenting! I’d never even heard of Stewart Island before and I grew up in Sydney, just across the sea from New Zealand! That’s pretty remiss of me, since it’s so beautiful. 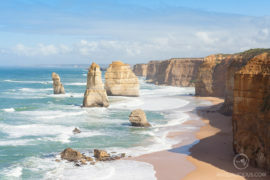 That’s so funny actually because I’ve just learned about the Lord Howe Island off Sydney this week (and now want to visit) 😀 Happy travels Katherine!